Japan Australia: Gaijin in Tokyo, Unite! Tokyo is an endlessly fascinating city for tourists from all over the world. Now that Japan is steadily recovering from 2011’s devastating natural disaster, the number of visitors to the country has been on the rise again. The vast majority of travelers pay the bustling capital at least a brief visit. However, what seems fascinating and exciting to the casual visitor can quickly become confusing for those who decide to settle in Tokyo. In 2010, over 420,000 foreign residents lived in the vast metropolitan area of Tokyo. Most new arrivals must have asked themselves the same questions over and over again: In which part of the city should I start looking for an apartment? Where can I send my kids to school? Do doctors in Japan speak English? Or just, how can I meet other gaijin? Here’s where communities such as InterNations come in – to help foreigners in Tokyo find answers to their enquiries. The Munich-based start-up company was established in autumn 2007 as a virtual platform for expats and all kinds of “global minds” from around the world. Since its humble beginnings, it has changed into the largest social network for expatriates worldwide. The local InterNations communities in 350 international cities are now housing nearly 650,000 member’s altogether – around 3,250 among them live in the Tokyo area. Originally, InterNations was supposed to provide website content (like their short guide to Tokyo) and to connect its member base only online. However, they turned out to show a great demand for face-to-face meet-ups away from the computer screen and the smartphone display. Most communities therefore have their own “Ambassador” team – between one or three volunteers from local expat circles, who host get-togethers on a regular basis. The current InterNations Ambassadors in Tokyo are three expatriates from the capital’s US American community, who have lived in Japan for up to 17 years. Their professional and practical experience can help newly arrived overseas residents to get their bearings. But even if you have been living in Japan for a while, InterNations can get you in touch with new, interesting folks from all over the globe. There are monthly expat events in favourite gaijin hangouts, such as Biervana in Akasaka, Hobgoblin in Roppongi, and What the Dickens in Shibuya. But if a nice chat over a glass of beer isn’t quite your idea of a good time, the recently introduced InterNations Activities Groups offer alternative meetings on a smaller scale. 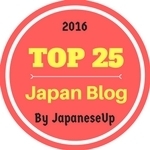 They focus on more specialized topics, like professional networking to make business contacts in Japan, dining out in Tokyo’s many restaurants, or attending photography and arts exhibitions. If you are an expatriate living in the Tokyo metropolitan area and want to meet more people to share your hobby with, why not launch a new InterNations group yourself? 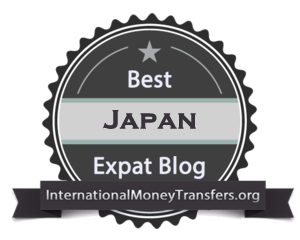 The community is also looking for committed expats who’d like to get the members in the Kansai area (Kobe, Nagoya, Osaka) together to launch local events there as well. 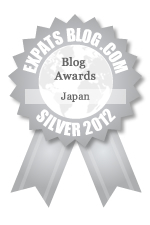 I often wonder about the definition of "expat". To me, it means people who live in a foreign country for a limited period, with accommodation and various other expenses (generously) covered by their companies. I think of myself as an immigrant, not an expat. Thanks Rurousha, I considered myself to be an Aussie expat. Lived in Japan for over 10 years but still with a tie to Australia. Not sure what I am these days :) Consider myself to be both Australian and Japanese and hence the name Japan Australia. Thanks Rurousha, Now that is a nation that I would proudly join. How about you?